I'm totally hooked on home scents. 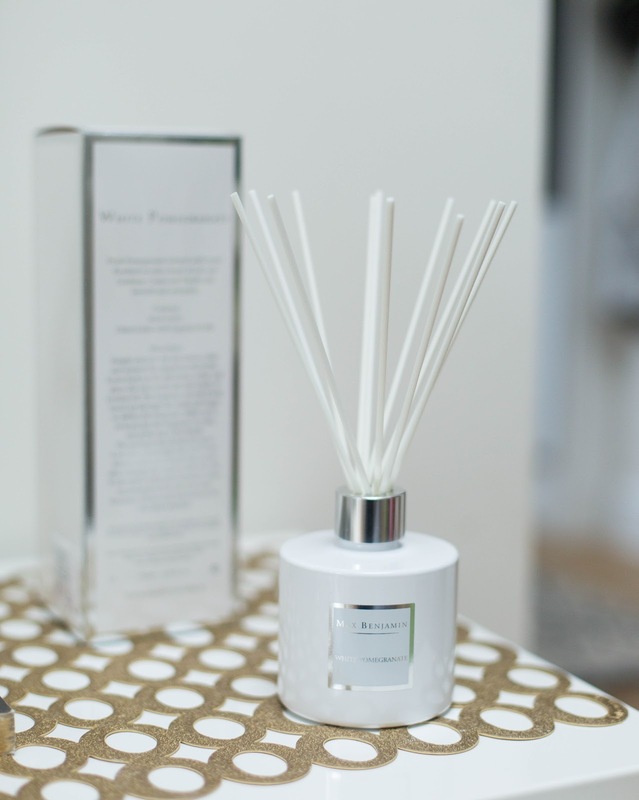 My obsession started with scented candles but I also love scent diffusers because they are low maintenance and constantly add fragrance to the room. As much as I love scented candles, they are not always that practical, especially if you want to burn them for a long period of time. I also hate that you need to constantly keep an eye on them and it takes few hours for the wax to melt entirely. 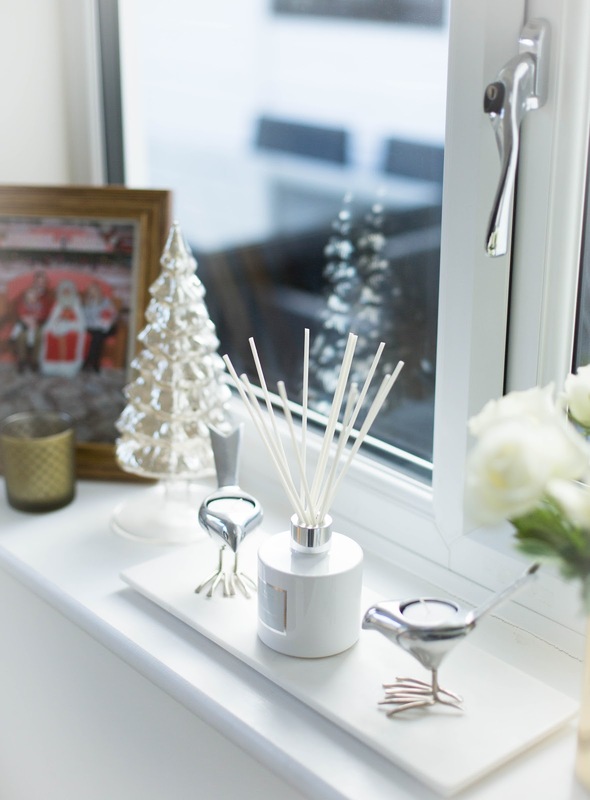 Scent diffusers are also ideal for smaller spaces like halls and bathrooms because you want them smelling gorgeous all the time. You might have already heard about Max Benjamin. It was actually my sister in law who introduced me to the Irish family-run candle company few years ago. I loved their candles but I had never tried the fragrance diffusers before. I've been admiring the beautiful bottles in the shops for a while though. 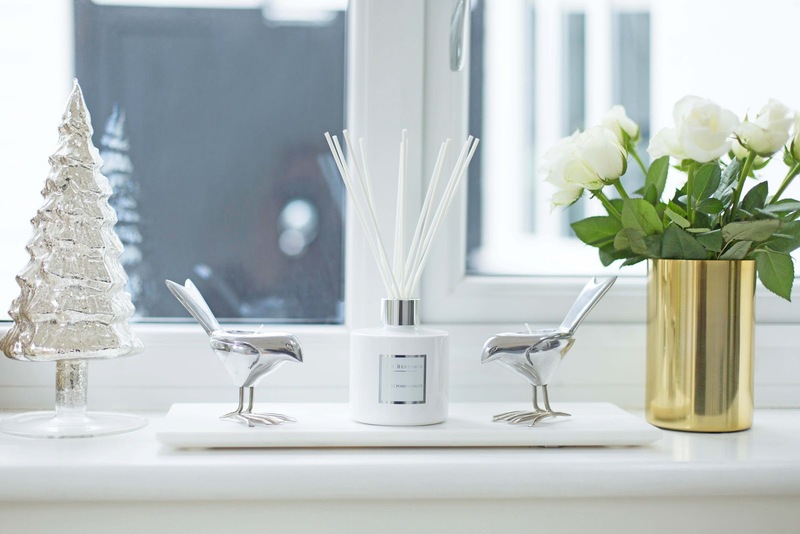 So obviously I was thrilled when rooi, the ultimate lifestyle store for luxury living, reached out to me to partner around their fabulous home scent collection. Rooi stock everything from fine linen to stylish pet products. You can find a vast selection of luxury brands such as Kate Spade, Alessi and even the Finnish design brand Vallila on their website. I decided to test the Max Benjamin White Pomegranate fragrance diffuser because the description just sounded too good to be true. Fresh pomegranate, rosebud, lily and gardenia sound pretty irresistible, don't you think? I also loved the elegant bottle and thought it would be perfect for our Winter Wonderland look. 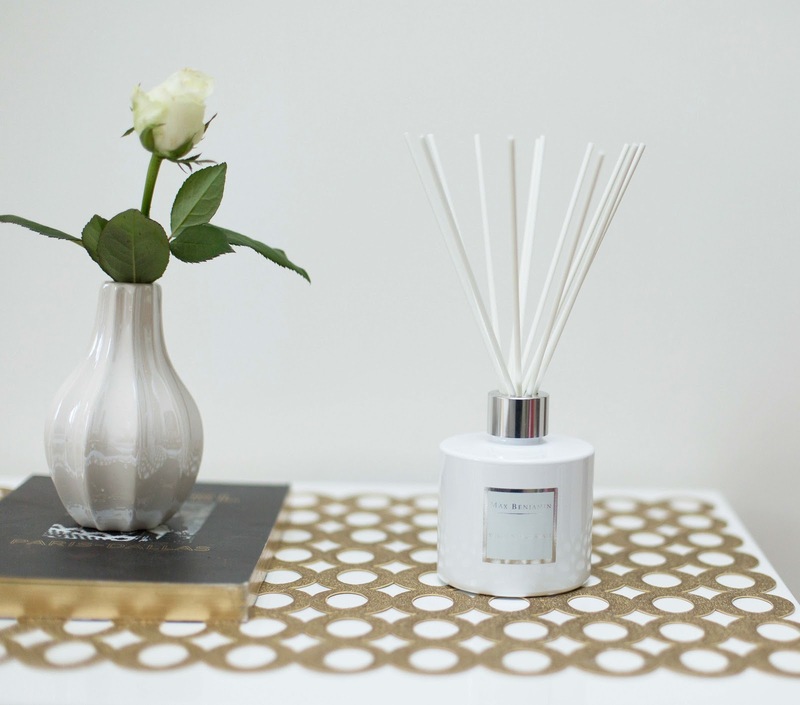 Fragrance diffusers last up to 3 months so it's handy to change the scent for each season. I also like to colour match so if I'm obsessed with a specific colour, I try to get my accessories, even the candles, to go with it. The scent diffuser came in a beautiful creme box and it looked even more luxurious that I had imagined. The scent itself is very clean and fresh. I was going to place it in our hall but then I felt that the fragrance complemented our lounge the best. I was quite surprised how strong the scent was which is why I wanted to place in a large open plan area. By the way, if you find a scent too strong just use less reeds. It always does the trick for me and makes the bottle last ages too. I usually flip the reeds every few days so that there is a nice, subtle fragrance in the room all day. 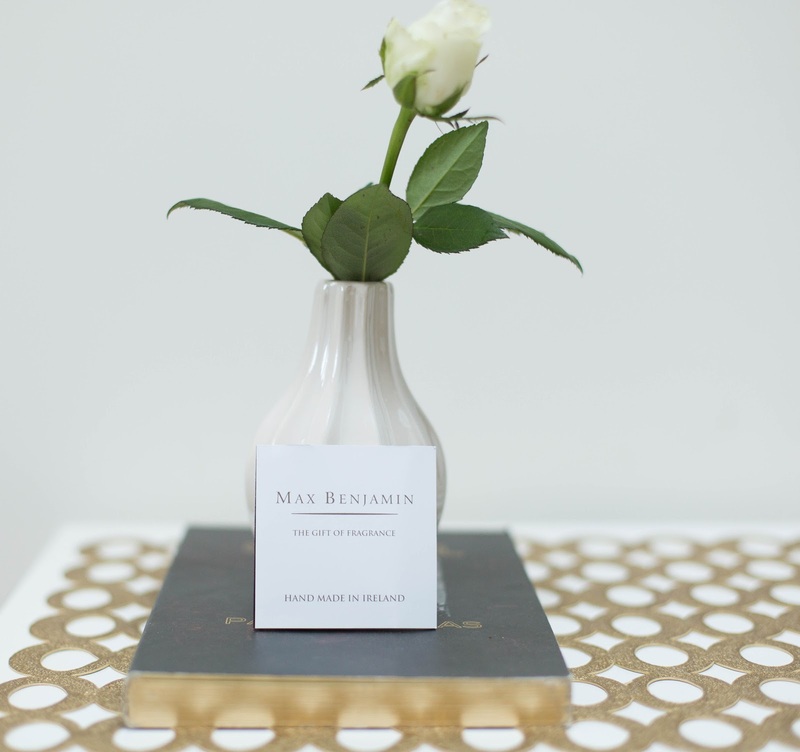 I also love that you can get matching fragrance diffusers and candles from Max Benjamin. The whole range just looks absolutely stunning and I'm already thinking which one should I try next. I think my next Max Benjamin product will be a candle again. As long as the scents complement each other (and I'm pretty sure most of them do) it's totally ok to mix and match. It just makes the scent more interesting in my opinion. There is still a bit of time for some last minute Christmas shopping and what's better than doing it online? I bought all my presents online again and I wouldn't have it any other way. 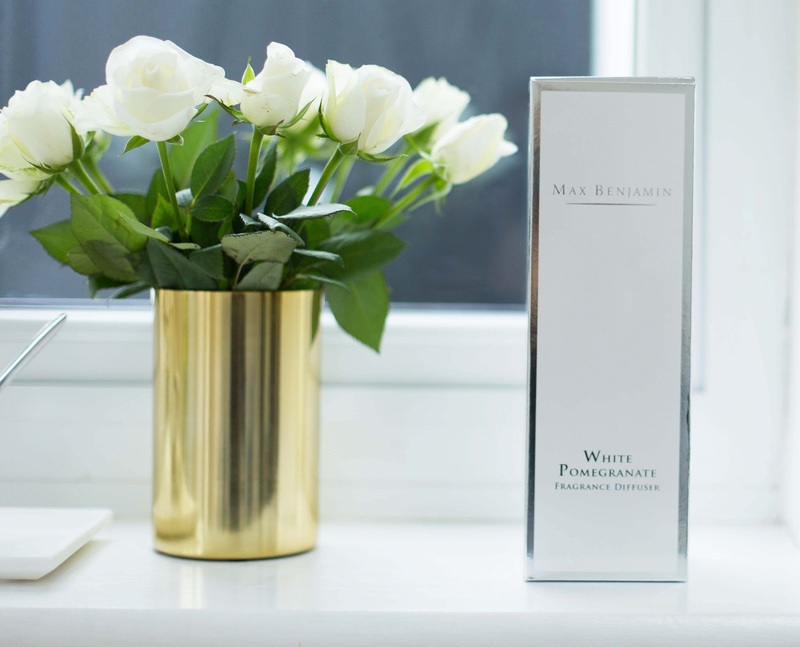 Max Benjamin products make lovely stocking fillers and if you sign up to the newsletter you'll get 10% off your first order. Happy last minute Christmas shopping! * This post was in partnership with Rooi.